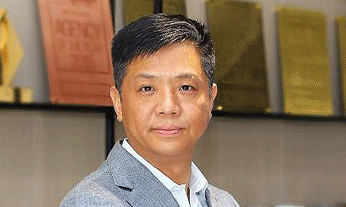 WPP announces that Patrick Xu, will take on the role of CEO for WPP China, following the departure of Bessie Lee. His appointment takes effect from 2 May 2017. He is the current CEO of GroupM China and will manage the dual role, based out of Shanghai. Lee worked across WPP companies for more than 20 years, starting her career in Taiwan with JWT’s media division and led GroupM China before transitioning to the newly created role of CEO of WPP China in 2013. Martin Sorrell, CEO of WPP says China is WPP’s third largest market and has been “a strong contributor” to WPP’s overall growth. “I want to thank Bessie for the many years of commitment to WPP and I am sure many of our colleagues will continue to work with her as she pursues a career as an entrepreneur in China,” he added. Interestingly enough, Xu took over GroupM’s top job from Lee in 2014 as she was elevated to WPP China CEO. In his new role, he will work on aligning WPP companies and resources; identifying new business opportunities and supporting the Group’s ongoing horizontality and talent capital efforts for the benefit of clients, both local and global. Prior to joining the WPP media giant, Xu was general manager of Hong Kong, Singapore and Taiwan at Mondelez International. He started his marketing career at Procter & Gamble in 1992 and joined Danone China in 2000. In Greater China, the ad giant said its companies (including associates) generate revenues of US$1.6 billion with almost 14,000 people in Beijing, Shanghai, Guangzhou and many other cities and provinces. Leo Burnett Hong Kong has developed its first campaign for the newly secured account Abbott Laboratories to address the problem of.. The fund so far has drawn 118 applications for ideas to enhance the overall visitor experience. ..